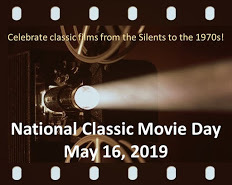 If you haven’t been following Classic Movie Night’s terrific blog, we urge you to do so. There are posts on celebrity birthdays, festivals, and all kinds of classic movie news. They do it all! Shocking Fact #1: We do not eat white dessert. Shocking Fact #2: We cannot handle too much caffeine. If we have a fully-caffeinated latte, we are completely unintelligible. Shocking Fact #3: Our secret guilty pleasure is the Annette Funicello-Frankie Avalon Beach Blanket movies. We are fascinated by them. Shocking Fact #4: We wake up at 5:30 every morning without an alarm clock. Sad, isn’t it? However, it does allow us to be very productive. Shocking Fact #5: We saw Driving Miss Daisy for the first time just three weeks ago. Shocking Fact #6: We have never visited a tropical country. Shocking Fact #7: We have sworn off store-bought cookies, because they lack flavour and imagination. Why are we, as a society, content with this blatant mediocrity? Shocking Fact #8: We are given to rants about meaningless subjects. 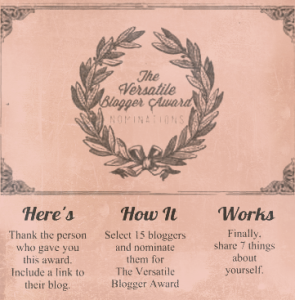 We are supposed to nominate 15 bloggers for this award, but we’re not sure who has/has not been nominated. So we will forego this for now, until we finish our own customized award system. Your welcome! I live reading your posts. I had to chuckle about the meaningless rants, I have a friend who you would get along with so well! Congratulations! Your blog is certainly worthy of this award and any others that are sure to come your way. And, yes, I’m shocked!!! CONGRATULATIONS! Well deserved for every bit of your classic rants and raves. Love visiting! Congratulations! And I also love the beach party movies. We should do a tag-team post about them sometime! That would be TOO MUCH FUN!